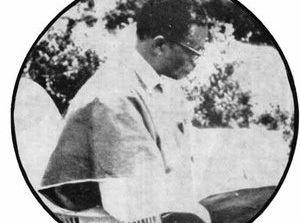 John Manton has produced a wonderful broadcast on the music of Ikoli Harcourt Whyte (1905-1977), who was in the leprosy colony, at Uzuakoli, in Nigeria. 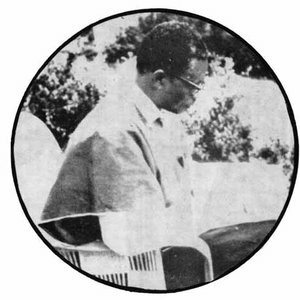 Ikoli Harcourt Whyte (1905-1977), was a “musician, philosopher, and teacher”. He was born in 1905 in Abonnema, in the Niger delta of Nigeria into the Kalabari tribe. He was diagnosed with leprosy when he was fourteen and sent to Port Harcourt Hospital and then to Uzuakoli Leprosy Hospital. When in hospital, he studied the Bible and the hymns sung in the Hospital chapel. He joined the choir and eventually became its conductor. He composed choral pieces in Igbo, the commonly-used language at Uzuakoli. He composed over 200 choral pieces and his music inspired the Igbos during the Nigerian civil war. There are two particular pieces sung by the Choir of the Uzuakoli Leprosy Colony that are considered to be the most important classical works ever recorded in Nigeria. They are his compositions. At some of my most challenging times – especially when undergoing chemotherapy last year, this music of Harcourt-Whyte was inspirational to me – especially the song “Atulegwu” (never fear), also his composition “Umu gi emebiwo uwa gi” (Oh, God, your children have destroyed the beautiful world that you have created…) is one of the most moving songs I have ever heard and has resonance with several themes of the beauty of this earth destroyed by man’s greed, avarice, covertousness and individualism. It is important also that Harcourt-Whyte’s ministration never included condemnation of other faiths but focused on the simple philosophy love, compassion and empathy for your fellow men. A simple man, he never sought acclaim, money or fame, he believed his life had a purpose beyond the challenges he faced or merely acquiring material achievement, One of the greatest Africans who ever lived, if you ask me. His life has also given rise to other cultural expression, such as Ola Rotimi’s stage play based on his life, “Hopes of the Living Dead”, in which people with leprosy drawn from many places throughout the nation attempt to communicate with each other in their different dialects. The symbolic power of leprosy once again affords a vehicle for expression.